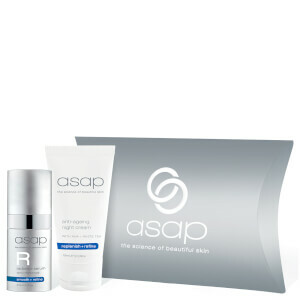 Treat your skin to the calming properties of asap Soothing Gel, a water-based gel formula that helps to ease feelings of inflammation and discomfort. Infused with Aloe Vera, Sage and White Tea, the gel helps to calm the skin and targets redness to promote a more balanced, even-looking complexion. Free from oil, the formula is an ideal moisturiser for oily skin types. Perfect for using post shave to help ease feelings of discomfort. Apply to clean dry skin, use as required.